(For the tour departure at Tuesday and Friday)At a first glance, travelling around the entire of New York City seems like the mission impossible; however, our highly organized tour is especially designed for you to feel the core spirit of the New York, by visiting amounts of famous landmarks and museums to learn more of its unique history, and shopping in the world top-brand boutiques! By stepping up to the Empire State Building, guests could overlook the beautiful view of the central park and the entire of New York City. Empire State Building stood as the world’s tallest building for nearly 40 years, and has been surpassed in late 1970. Its name is derived from the nickname for New York, the Empire State. Nowadays it is still the most famed landmark of the city of New York. Also, Guests will have a chance to take a sightseeing cruise on the Hudson River to enjoy the city from a totally different view, as well as take pictures with the backdrops of Statue of Liberty and Brooklyn Bridge. In addition, USS INTREPID, the national heritage that costs $120 million, is reopen for visitors. Concorde supersonic airliner and a variety of aircrafts will be all in the exhibition for the guests to visit. Wandering around the world’s famous financial and securities trading center – Wall Street, taking pictures with the symbol of New York Stock Exchange – Charging Bull, and visiting Trinity Church, Times Square, Madame Tussauds’. Of course, we will not miss the famous Metropolitan Museum of Art. The Metropolitan Museum of Art is the largest art museum in the United States with collections of more than 2 million works of art. In the end of the day, our tour bus will take guests see around the Fifth Avenue, Rockefeller Center, United Nations Headquarters, Ground Zero and the new construction of WTO – Freedom tower. . . For the tour departure at Wednesday and Saturday, if time is available, we will additionally visit the Metropolitan museum and Madame Tussauds, and please be noted that the schedule is different: New York City tour will be arranged at the last day. Day 3 : New York – Philadelphia – Amish Village – Washington D.C.
We will set off in the morning for Princeton University, a private Ivy League research university in Princeton, New Jersey. 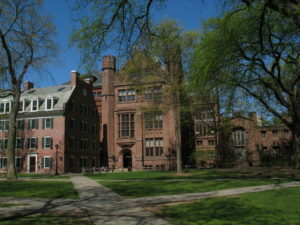 Founded in 1746 as the College of New Jersey, the institution moved to the current site 10 years later where it was renamed Princeton University in 1896. Guests will explore the campus, led by a student tour guide, to learn more about academics as well as the college culture. Then we will leave for Philadelphia where known as the birthplace of American democracy. At the Independence National Historical Park, tour guide will arrange a free time for guests to walk around. Inside the Independence Hall, you will have a special moment of standing exactly where the Declaration of Independence and the Constitution were signed. You also won’t miss the Liberty Bell, the Statue of Washington, Congress Hall, and other great attractions! Take pictures, and even better, add a smile! (According to the traffic, weather and the time, guests may have chance to take Duck to travel around the city from the land to the river. )Later, we are going to Lancaster to visit the Amish Village. Despite the development of the contemporary technologies in the 21st century, the Amish still live a rural way of life. They enjoy their simple and strict life and keep away from light, phone, and TV. Continue the way towards to the south; we will arrive to Maryland by evening. Here, guests will have a variety of dinner options. We will go to hotel by the night. 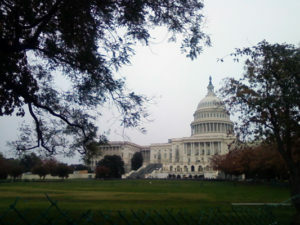 Leave hotel, we will firstly head to the Capitol Hill (visit inside. If the Capitol Hill is closed due to certain factors, we will only travel outside. Sunday will be closed) —the home for the US Congress which established at 1793, then travel to the Lincoln Memorial, Vietnam and Korean War Memorials. Also, guests will have the chance to take pictures with the background of White house (Because the White House remains closed to the public, thus, guests will be only allowed to take photos from its outside) Furthermore, you surely don’t want to miss the opportunity to take our exclusive cruise for sightseeing of the town on the Potomac River! In addition, along the way, you will see the Washington Monument, the World War II Memorial, the Thomas Jefferson Memorial and etc. You are also able to visit the Smithsonian Institution freely which includes: Air and Space Museum, American Indian Museum, American History Museum, Portrait Gallery, African American History Hirshhorn Museum and Sculpture Garden, etc.,. In the evening, guests need to gather in front of Air and Space Museum and then will be taken to have dinner. We will cross the upstate New York and leave for Boston when you enjoy the magnificent view of the Erie Canal and mountains on our comfortable tour bus. 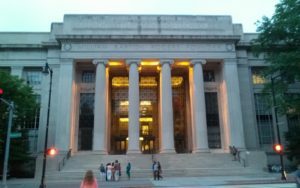 In the afternoon, we will arrive in the city of Cambridge, MA and visit the Harvard University. Here, you will find Harvard’s oldest campus and take pictures with the statue of John Harvard, known as the “Statue of Three Lies”. Also, we have a chance to take pictures with the backdrop of MIT’s main buildings. For the rest of our Boston city tour, we will pass by old Trinity Cathedral, Hancock Building, Boston Athenaeum, Boston Park, Swan Lake Park, and overlook the Golden Dome of the State House.In addition, you will have the chance to taste very famous Boston lobsters feast for dinner- get excited! In the morning, fun will begin as soon as you board the cruise ship and enjoy a breathtaking view of the Boston harbor. The next stop is the old Quincy Market. The old Quincy Market is opportune for strolling through, or to get a taste of the historical ambience as well as to pick out souvenirs among the assorted merchants and artisans. The Market was also surrounded by dozens of restaurants for dining option with a variety of authentic cuisines, and absolutely, you cannot miss the famous New England clam chowder. After finishing the tour, guests will be arranged to go to the airport.